The ‘World Investment Report 2017’ published by the United Nations Conference on Trade and Development (UNCTAD) predicts that India will continue to be an attractive investment destination despite stagnant trends. 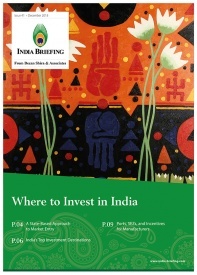 Key to the optimistic outlook is the recent government approval for cross-border mergers and acquisitions in India, opening up the domestic market to greater foreign direct investment (FDI). Investor confidence in India will therefore pick up in 2017, after a more or less sluggish two years; FDI reached US$44 billion in 2016 – just one percent up from 2015. In 2017, China, India, and Indonesia will be key markets in developing Asia for foreign investors, amid liberalized federal policies. Finally, while India’s tax treaty with Mauritius will slow down FDI inflows due to reduced round-tripping, China has emerged as the world’s second largest investor at FDI outflows of about US$183 billion. Internet users in India will double to 829 million by 2021 from 373 million users in 2016. This will be driven by accelerating digital access as two billion devices will be connected to the internet, up from 1.4 billion networked devices in 2016. IP traffic is projected to grow four-fold during this period of five years at a compounded annual growth rate of 30 percent. The forecast is put out by the Cisco Visual Networking Index (VNI), and shows that 59 percent of the Indian population will be online by 2021. Cisco VNI highlights three essential factors contributing to this digital transformation, namely, improved device capabilities, higher bandwidth offered, and more intelligent networks. Office space absorption by Indian Information Technology (IT) and IT-enabled services companies rose by 10 percent to 16.81 million square feet (sq ft) in 2016 over the previous year. Bangalore and Hyderabad accounted for more than 50 percent of this space demand. Additionally, the number of lease transactions in the IT/ITeS sector grew upwards of 52 percent year-on-year (y-o-y), from 414 in 2015 to 628 in 2016. This trend indicates a flexible approach adopted by software companies over going for built-to-suit complexes. Moreover, the transaction space in the sector is contracting as the average area leased in 2015 was slightly above 31,200 square feet, which reduced to below 27,000 square feet in 2016. The statistics come from a report by real estate investment management firm, JLL India. Developers designing IT business parks will need to respond to these changing requirements of the Indian IT sector that is still growing while combatting both global uncertainty and technological disruption. Much to the chagrin of the federal government, India was ranked 130 in the World Bank’s Doing Business Report 2017, up just one place from 2016. Among other things, the World Bank ranked India at a low 172 out of 190 on the parameter of enforcing contracts. This is why the Indian government has submitted a report to the World Bank (WB) citing various reforms such as the introduction of a single company registration window for all clearances. The Indian government also disputes the World Bank’s reporting on attorney fees for arbitration in India, and points to the neglect of financial incentives offered by India to parties that attempt mediation or conciliation to resolve commercial disputes, as well as reforms that speed up the enforcement of judgments. World Bank officials will be sending a team to India in July to gather feedback from industry and users to vet the government’s assertions. 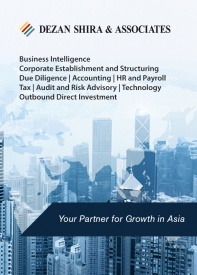 An Introduction to Doing Business in India 2017 is designed to introduce the fundamentals of investing in India. 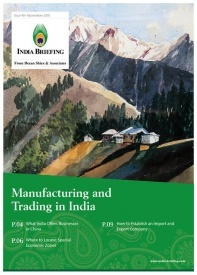 As such, this comprehensive guide is ideal not only for businesses looking to enter the Indian market, but also for companies who already have a presence here and want to stay up-to-date with the most recent and relevant policy changes. 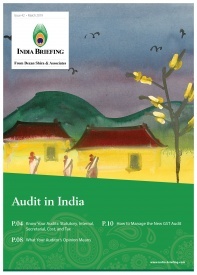 In this issue of India Briefing Magazine, we discuss payroll processing and reporting in India, and the various regulations and tax norms that impact salary and wage computation. Further, we explain India’s complex social security system and gratuity law, and how it applies to companies. 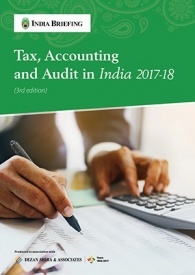 Finally, we describe the importance of IT infrastructure, compliance, and confidentiality when processing payroll in India.